I'm just heading straight into this one; Modern Family is my favourite show on TV. It's been this way since I watched its debut season back in 2009, and it remains so to this day during the show's current fifth season. I like to think I'm not alone in holding this show so highly; after all it has won the Prime-time Emmy Award for Outstanding Comedy Series four years in a row. In fact, I'm under the impression that if it takes the prize again later this year it ties Frasier's record of five consecutive wins, let alone in its first five seasons. I am aware that on a technical level Modern Family is hardly difficult to produce, especially in comparison to countless other show currently on TV. But, there is something about this show that gets me, and I, in return, get it. It's even difficult to pinpoint just what "it" is in the case of Modern Family, but this article should hopefully explain a number of reasons as to why I am hard-pressed to find anything on television that I enjoy more. Recently, as part of my University course, I was learning as to the origins of the sitcom genre, right back from its radio premieres back in the early twentieth century. This allowed me to view Modern Family from a consistently increasing critical perspective, and to analyse even deeper the genre conventions that this particular sitcom uses. Or moreover, doesn't use. There's no studio audience here. There's no laugh track. The return-to-zero ending is repeatedly broken. 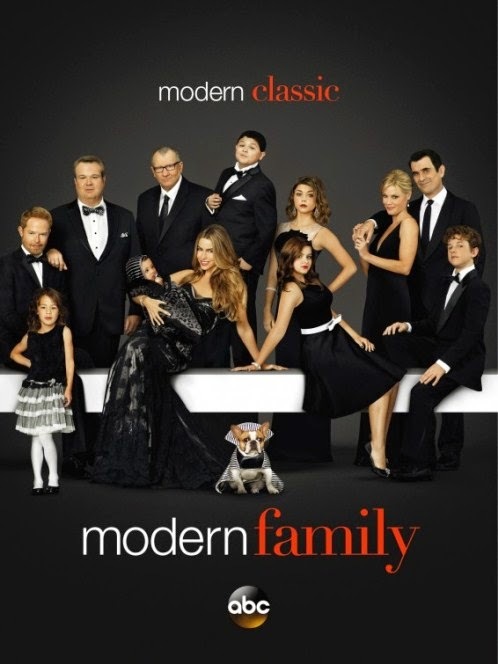 Modern Family is a sitcom that doesn't play by the rules; it seems to frequently divide the sit from the com. Whilst episodes in the shows earlier seasons managed to effortlessly combine plot and comedy, the latter episodes have failed to do so. The episodes are, generally, still great, and I'd struggle to name an episode I actively disliked, but it does lead me to question "Is this show still as great as it was four years ago?" What works the most about this show is its characters. From Haley's always amusing lack of intelligence, to teenage Manny's adult behaviour, to Gloria's accent, to Cam's increasingly theatrical mannerisms. These are not simply characters you like, they become characters you know. 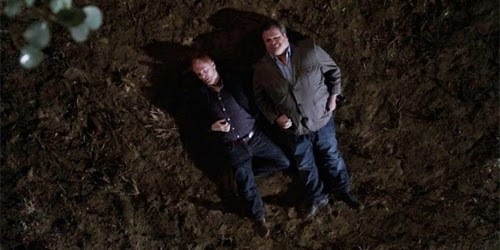 Having watched Modern Family almost endlessly for over four years, I almost feel as if they are part of my family. Whilst I am aware that that particular sentence can be read and interpreted as just an over-the-top fan statement, I mean it from a critical perspective too. The writers have done such a good job keeping these characters to who they are that you seriously feel as if you know them. This also comes down to Modern Family's incredible sense of realism. Using a mockumentary format naturally increases realism anyway (the side glances to the camera remain brilliantly used), but with over 100 episodes having now aired, so many of them feel so real. Alex's breakdown and ultimate psychiatric treatment in season five's Under Pressure was beautifully handled, as was pretty much the whole of season one's Fears episode. But, what also helps to keep us inside this family, is its intricate use of emotion. Whilst some episodes are played solely for laughs (and effectively so, in the cases of Fizbo and season five's pretty stellar Las Vegas), most stories end with touching sentiment, reminding us that, deep down, these families do love each other. Mitchell and Cameron's story in season three finale Baby on Board is still as affectionate as ever. "I think I'm lying on a rock" says Mitchell, as the couple lay down on the ground by a petrol station having again failed to adopt a second baby. "I'm lying next to my rock" replies Cameron. Not many shows are written like this. Which leads me on to Modern Family's triumphant playing card; the writing. From its offset, this show has been so extraordinarily written, both in terms of comedy and character. Whilst plenty of comedies (perhaps too many) rely on visual gags or slapstick, Modern Family is all about its writing. In some of the shows most hilarious episodes, you have to watch them back two or three times just to pick up the subtle lines you missed on previous attempts. Jay's sarcastic responses to Manny's antics never fail to bring out a laugh. I'm not even sure where to begin with Phil. But, the writing always sticks true to the characters. Only once in over 110 episodes can I name a moment where someone says something that doesn't ring true to their personality. That's pretty sensational, if you ask me. This now leads me to the point where I discuss the question I raised at the beginning of this article. Is Modern Family as good now as it once was? Personally, I would answer that with a "yes". Not once has this show dipped in quality; the writing is still consistent, the characters are still just as likeable. However, season five has been pretty divisive with critics and audiences alike. With the vast majority of episodes scoring below an 8.0 on IMDb (besides Las Vegas, which remains on a Modern Family high of 9.2), it can be argued that this show's current season hasn't been as well received as its unanimously highly praised first season. 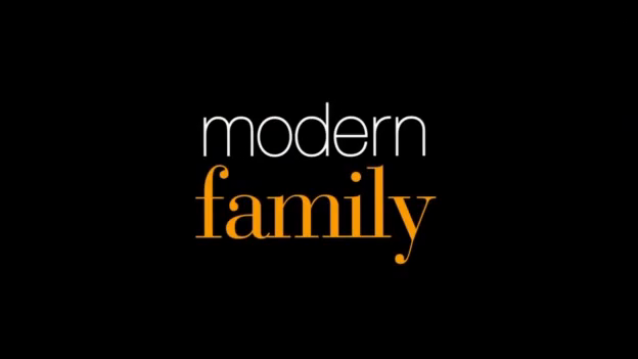 Whether other people don't see what I see in this show, or simply I rate this show too highly, but for me Modern Family is still just as excellent. Annoyingly, though, I am beginning to understand. Not agree, but understand. I would recommend any episode of this show's first three seasons to anyone. But during the fourth and fifth season, there are just too many misfires. Thankfully, when Modern Family gets it right, it really does; again not just in its comedy. Season four's simply fantastic Valentine's episode Heart Broken is still drop dead hilarious, while season five's premiere Suddenly, Last Summer included the simply touching proposal for Mitchell and Cameron. The show remains just as well written, but there are too many episodes now that don't work as well as they would've done had these stories been pitched back in 2009. Season five's And One to Grow On lies as a contender for the weakest Modern Family ever, and season four's Fulgencio was only just saved by the brilliantly funny Godfather sequence at the end. I just can't help but think Phil trying to teach Luke how to dance would have been phenomenal back in the earlier seasons, but in season five it didn't work at all. But, perhaps, this is all a feat of the worst thing a film or television series can garner; hype. Five consecutive Emmy wins for Outstanding Comedy Series wins puts a hell of a lot of pressure on a show not just to succeed, but to soar. Whilst the show's fifth season may have a few more backfires than its first, its still so brilliantly made on the whole that I almost don't care. Perhaps its all a case of each season being so strong, I expect far too much for the next. I remember labelling season four a huge step down, yet when I watch back episodes now I struggle to fault them. This will likely be the case with the show's current season too. I've been in love with this show since I first watched Fears back in 2009 (which happened to be the first episode I saw), and, simply put, I still am. The ever-so realistic outlook of Modern Family is something I can't ignore, and something that elevates it to new heights almost all the time. There's just something about this show that really hits home with me. Even if it isn't as consistently funny as it was three or four years ago, its still just brilliant. Modern Family remains, for me, the best show on TV.